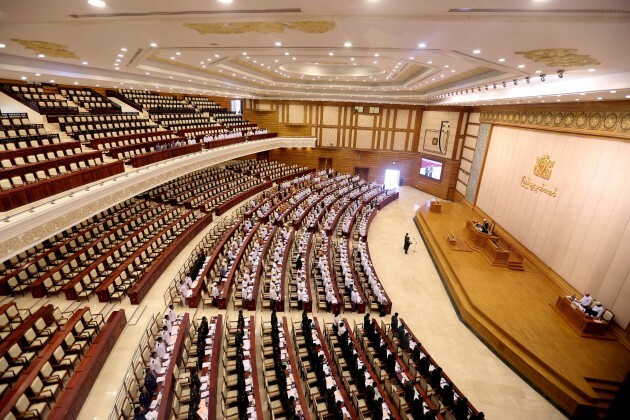 Burma’s new Government, led by Aung San Suu Kyi’s National league for Democracy party, is in a position to repeal a swathe of colonial-era laws that criminalize cornerstones of a functioning democracy, including freedom of assembly and free speech. Human Rights Watch has called on the new Government to use its parliamentary majority to repeal draconian laws, detailed in a 113-page report entitled, They can arrest you at any time. “Successive Burmese governments have enacted broad, vaguely worded laws to control and criminalize basic freedoms, creating thousands of political prisoners,” Brad Adams, Asia director at Human Rights Watch said in a statement released to the press on Wednesday. “The new government, led by the National League for Democracy, has moved quickly to release many of those imprisoned for peaceful expression or protest and to drop charges against others. But it’s crucial that the legal infrastructure of repression be dismantled so that there is no chance Burma will ever hold political prisoners again,” Mr Adams added. The HRW report analyses Burma’s existing Penal Code, as well as the country’s Peaceful Assembly and Peaceful Procession laws, the Telecommunications Act and the New Media Law. According to the report all of these laws urgently need reworking to bring the country’s legal system into line with international standards. The existing laws imbue authorities sweeping power to arrest protestors, and clamp down on critical voices. Dozens of land rights campaigners and activists have been arrested under the 2012 Peaceful Assembly and Peaceful Procession laws, while journalists have been arrested for protesting against the arrest of fellow journalists. Section 505(b) of the Penal Code criminalizes speech “likely to cause alarm to the public,” and has been used to arrest student activists Zeyar Lwin, Paing Ye Thu, and Nan – who now face five years in jail.